If you look at the top of the row/round. Each stitch looks like a sideways V or little heart. Each V is made of two loops: the front loop and the back loop. 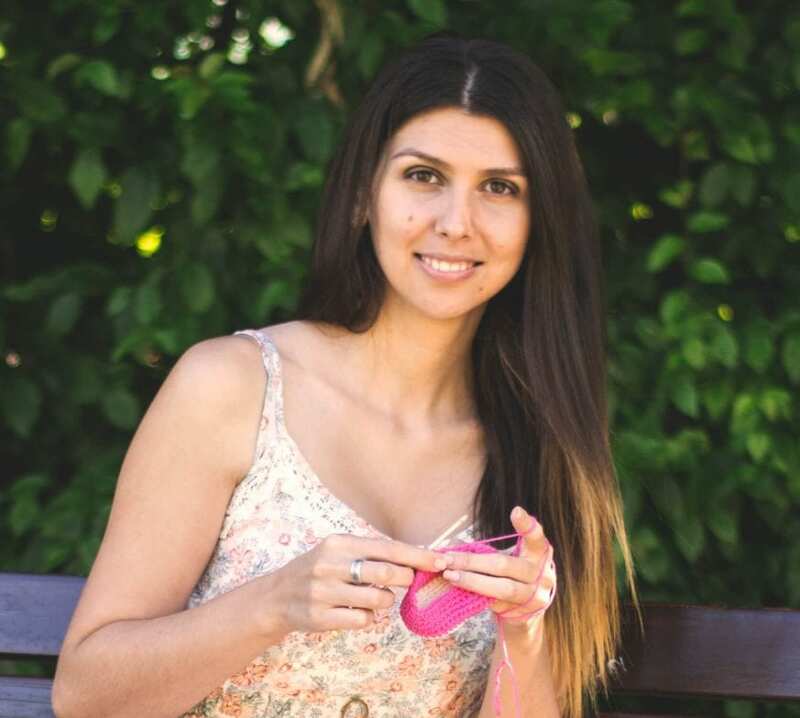 If you hold the piece of crochet in front of you with the “little hearts” on top, the part of the heart closest to you is the front loop. The part of the heart farther away from you on the opposite side is the back loop. 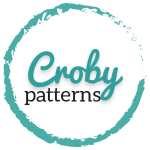 Usually, patterns do not specify in which loop you have work into. 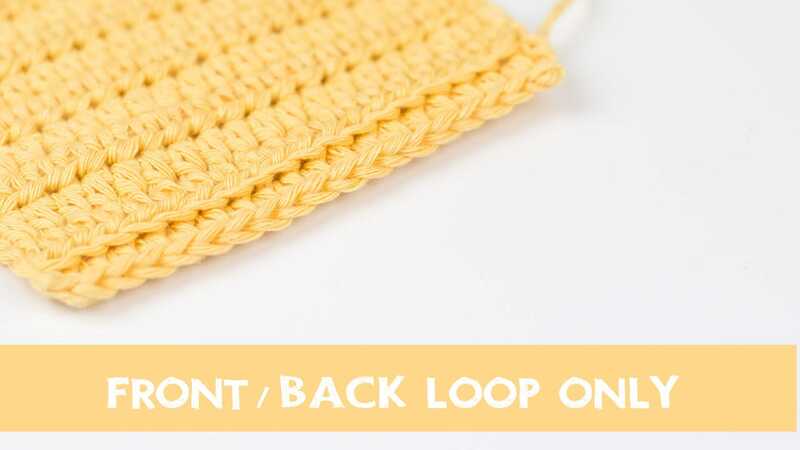 The standard way to work into a crochet stitch is to work into both loops, front and back loop, at the same time. You have to insert your hook each time under both loops. Skipping one of the loops will leave you with a line of undone loops which can be very useful for ribbings (hats, mittens, sweaters). Using this technique will give your projects more professional look. Thank you so much for stopping by! Don’t be shy and subscribe to my blog and my YouTube channel. I share new tutorials every week!